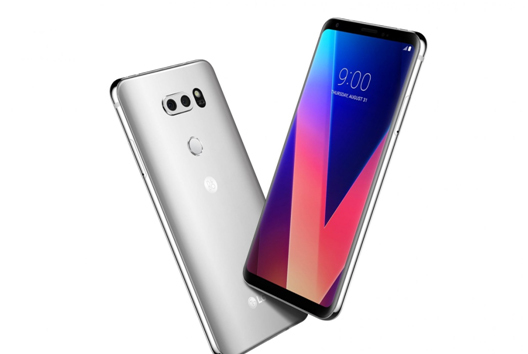 The LG V30 is already in the wild with a solid package of features to grabbing the attention of customers. And recently, LG has tried to offer something more impressive while paying attention to rise of artificial intelligence. The Mobile World Congress 2018 is over but it was not full of surprises, we saw almost everything same what was rumored, expect Vivo Apex (a Full View concept phone with almost full screen-to-body ratio). People love different things and Vivo is trying to offer them what people want. 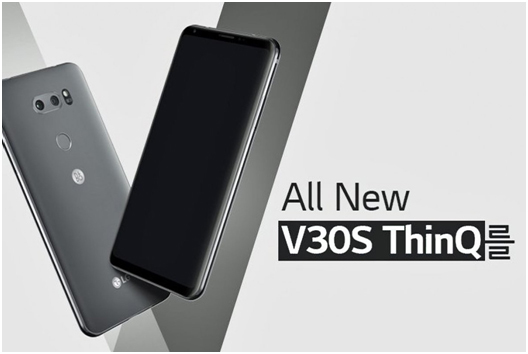 On the other hand, rather than introducing a new phone, LG has introduced an improved version of already-available LG V30 as LG V30s ThinQ. The new LG V30s ThinQ is arrived with an AI (artificial intelligence) camera. Another interesting part of story is, the company is expected to bring the AI version of camera app to original LG V30 soon in near future. However, some points that make it different from the six month old version are RAM, storage, and a new blue color. Latest V30 version has more RAM (6GB RAM instead of 4GB). Those of you who left behind in buying the LG flagship last year can now grab a better version with more memory and in a stunning new color. LG V30 price is changed, when compare to new LG V30S ThinQ. But design of new model is not changed, however it got a new color option. It has same vivid 6-inches display (this is P-OLED display) and is pretty slim. It is just 7.3mm thick, isn’t this impressive? And it has 18:9 aspect ratios so you can have trendy wide viewing experience. LG has optimized it to offer around 82 percent of screen-to-body ratio. This is taller but comfortable to hold and sharper in sense of performance. Bezels are slimmer compared to LG V20 for more appealing look. A tray for inserting SIM card and a SD card is placed on one side and volume keys are used on another side. Just to focus on what customers demand now, it has IP68 certification which means it can stay alive in up to 1.5 meter deeper water for around 30 minutes of your life. Furthermore, the company has covered the rising flaw of always on display modes. The LG V30s ThinQ display has always on mode you can customize depending upon taste and brightness for efficient battery usage. The LG V30s ThinQ processor, as I hinted above, is not changed. This is same Snapdragon 835 chipset but it still hates to interrupt users with lags running through highly productivity apps. However, the company has risen RAM, the latest version has a 6GB RAM users would love while running everything smoothly. Not just this, ROM is also increased. It is available in two options, pick with 128GB storage or 256GB (for V30s+) and both you can increase with the help of an external SD card slot. If you pick a dual SIM model, you will have lose the second SIM option in the favor of external SD card. Thankfully, it comes with USB Type-C port that is now very popular for managing fast charging and data transfer speed. LG has not made changes in capacity of camera but rather we have AI functionality. It has same dual camera setup, primary 16MP camera features f/1.6 aperture and 3-axis optical image stabilization. And the second one is a 13MP sensor you can enjoy with an f/1.9 aperture size. When it comes to aperture, some might not feel a lot difference with f/1.6 than f/1.7 but we appreciate because the more brightness your camera can bring the more impressive photograph you can take. It is best in low light photography. Moreover, the second camera has an upgraded f/1.9 aperture too. It seems that the company has focused on low light photography rather than just playing with what daylight photographs can offer. Normally, we often see not-very-high-end cameras can take great photos in day time. So the company took good step. With tons of customization, the camera app is capable to take extra-ordinary shots following the skills of talented photographers. AI functionality is also helpful; it lets you switch between different scenes depending on object you are taking photo of. This will help those who are not addict of manual controls available in app settings. It has a bright mode that can decrease noise on images using variation of ambient light. The V30s ThinQ camera can record 4K videos at 30 frames per second and HD videos at 120 frames per second. Full HD videos can be switched between 30 and 60 frames per second speed. It has same not-removable 3300mAh battery you can charge fast. Users can get up to 50 percent of battery charged in around half hour with Quick Charge 3.0 technology. And yes, wireless charging is supported. I do not say it will offer you top battery time comparing with others. But around one day battery life with efficient charging should be enough to satisfy customers. The LG V30s ThinQ and V30S+ ThinQ are minor upgradation but not ignorable if you are buying one LG V30 device for the first time. LG V30 price in Pakistan is fair to pick, but for some extra fun, buy from new options. Better display, smooth usage, impressive photography tools, etc should be noticed while buying a phone in market. Thanks for the review. Looking to get a new phone and this is super helpful. It is very interesting as informative. I always prefer and appreciate this type of post which is really beneficial for the people.